Westell’s Power Management Solution reduces the need for physical site visits and becomes a key solution in meeting compliance initiatives and avoiding costly fines. The solution uses critical technology innovations for managing commercial and hybrid power without a site visit. Remote monitoring and control devices provide IP management to sites and equipment. Remote monitoring and control acts as an intelligent extension of your Operations Support Systems (OSS) to provide site alarm monitoring, protocol conversion, and equipment connectivity. 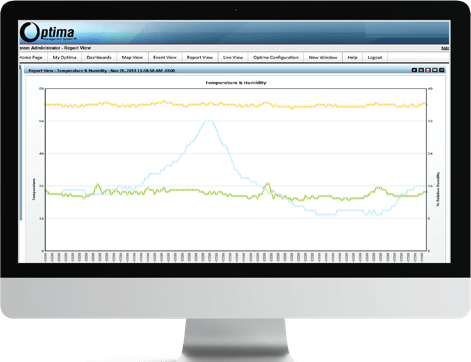 Optima provides network operators with a comprehensive view and control of network infrastructure sites. The management system provides preventative maintenance tools to help identify issues before they occur. It also provides performance reporting to enable operators to view network trending and availability. Remote access, diagnostics, and control capabilities can eliminate truck rolls.